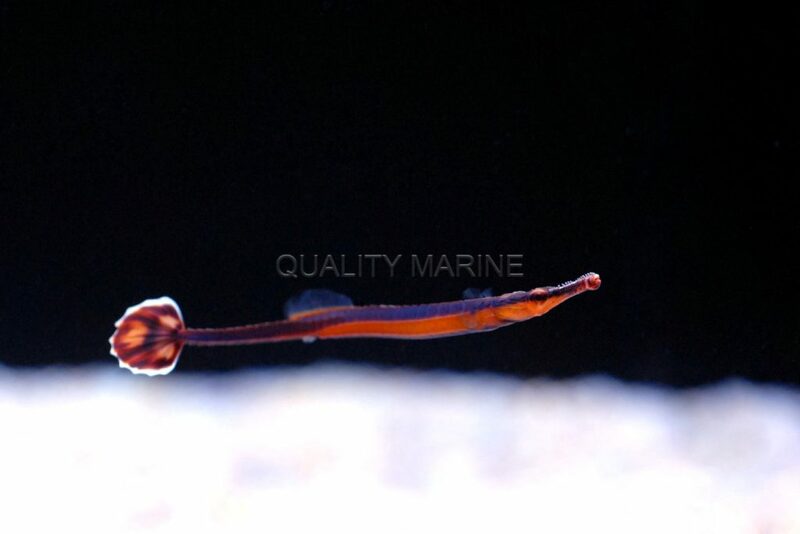 Quality Marine just announced the arrival of yet another new aquacultured species: the Bluestripe Pipefish (Doryrhamphus excisus). Their unique appearance and useful predatory habits, combined with a vibrant blue and orange coloration has made them a popular aquarium species, especially for seahorse and low nutrient SPS aquariums. Aquacultured species and short supply chains are essential for the long term viability of our trade and for the health of our oceans, making this successful captive breeding all the more important. Additionally with the recent news about Hawaiian fishery closure, this is a bit more positive news for our hobby. In the wild, Bluestripe Pipefish inhabit rocky crevices in lagoons and reefs of depth from 6 feet – 147 feet (2 to 45 meters) and they range all throughout the waters of the Indo-Pacific and Eastern Pacific. They feed primarily on planktonic organisms and small crustaceans. Not unlike seahorses, Bluestripe Pipefish are ovoviviparous, meaning the males carry the eggs in a brood pouch, which is found under their tail. In aquariums, pipefish make excellent tank mates for seahorses, dragonets and other peaceful, slow moving species. Bluestripe Pipefish are one of the hardiest pipefish, and choosing aquacultured specimens increases your chance of success even more. Cultured pipefish are raised on prepared, often frozen meaty foods, eliminating the old requirement of offering live foods for successful husbandry. Their exceptionally small mouths will require you to feed nutrient dense items with a smaller size, like Nutramar Ova. Perhaps best of all, Doryrhampus are extremely unlikely to be a problem with your corals and other inverts. However, they are plodding swimmers and somewhat small, so be careful when housing them with anemones and aggressive corals. Culturing anything takes time and resources, and continued industry support is the only way that these facilities will continue to grow, become more efficient, and offer even wider varieties of specimens. 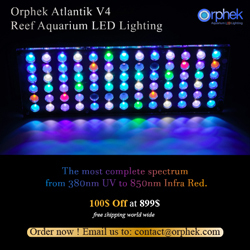 Companies like Quality Marine have continued to support these aquaculture efforts for decades now, and we are pleased to see yet another aquacultured species available to the aquarium hobby.